As eLearning developers, we have more tools available than ever before to help us design beautiful, interactive eLearning experiences. However, we are constantly struggling with the collaboration. Here are 10 eLearning project management tools to ensure that your entire team is in sync. Got a team? Struggling every day to share and manage resources, gather and organize feedback, create checklists for daily and long-term tasks? There are tools that are used by eLearning teams to improve communication and management, and create better courses. In this article, I'd like to list 10 eLearning project management tools that make eLearning project management easier and let eLearning teams collaborate better. We live in a world where we constantly need to exchange resources, files, share common assets. In the process of a course development, several files of large size and different media need to be exchanged with the team. This makes a file management system inevitable. 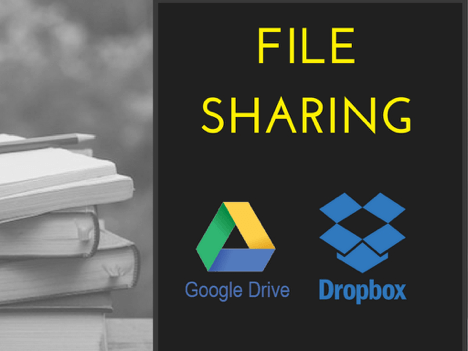 The best and the mostly widely used file management tools are Google drive and Dropbox. Google Drive is a safe place for all your files. It supports all major file formats and enables you to access all your resources anytime, anywhere, and organize them in folders, and lets you share them with your collaborators. Added advantage of real time collaboration is Google Sheets, which make Google Drive a perfect choice for collaboration. Key features: Real time collaboration, 15GB free storage, offline access, and direct folder uploads from web app. Dropbox is another file hosting service with cloud storage: It is best suited for sharing large files and syncing your local folders with the cloud folders. Works great for automatic backups as well! Dropbox also recently launched Paper, an easy way to collaborate on different media types, embeds, and code. It’s simple and makes it easy to brainstorm together. Key features: Selective file syncing for subfolders and version control for files. No matter what file sharing and backup system you use, having a consistent naming convention and folder structure makes it easy to read and stay organized. Without management anyone's life is actually a nightmare; especially when it comes to setting everyday tasks to meet long term goals. Same is the scenario with eLearning developers. While working on different modules, you can easily get confused or even stuck if everything is not at its right place. So organizing things well is a must. To work with a team, management is required at a personal as well as a project level to achieve common goals well in time. Regular calls along with a well labeled mail-list can serve the purpose to some extent, but we do have better options. 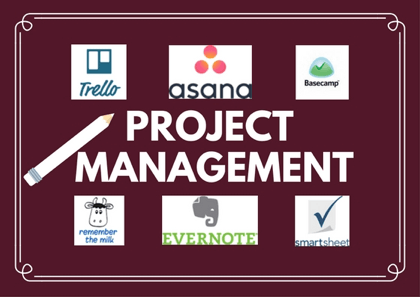 Project Management tools are plenty; the ones that I am sharing here are widely used by eLearning teams to stay organized and in sync. Trello is a free, flexible, and visual way to organize anything with anyone, anywhere. It makes collaboration easy with the Kanban system it follows. You can maintain all your to do or to view tasks as Trello cards: These cards can be arranged into lists for clarity. But following deadlines and managing complex projects can be messy. So, in my opinion, it’s a great tool for managing simple projects with small teams, and also works well as a personal task manager. Key features: Free forever, real time collaboration, visual UI, and cards drag and drop flexibility. Asana is a tool helping teams to manage and follow workflows even for complex projects. Large teams can experience the benefits better. Key features: 3 column structure, email reminders, reports and document management. Read a good comparison between Asana and Trello here to pick your choice. Basecamp is the saner organized way to manage projects and communicate company-wide. Here your every project is a Basecamp, where you can chat and maintain to do lists and have a centralized schedule to keep everything and everyone synced. Read out latest Basecamp version review here. Key features: Real time chats, automatic check-ins, speed, today list, simple and intuitive design. Smartsheet is a platform to manage and automate collaborative work. Smartsheet brings together all the benefits (and drawbacks) of spreadsheets and project management tools into one unique, powerful hybrid. Key features: Gantt charts, calendar view, and reports. Remember The Milk is a list-style task management app with text centric UI. Key features: Add due date, locations, reminders, selective sharing of lists, custom sorting and grouping, drag and drop reordering, and properties change. Evernote is basically a note making app, but the notes here can exist as any file type (image, text, PDF, audio, video…), not just text notes. Key features: Drag and drop feature to add files, all file format support, and visual UI. Just creating good courses is not the end; you need to know what others think about it: Are they able to relate to it or not? Is it delivering what you expected? To know all this, what is required is review. Shared Excel sheets can work well, but as the courses are a visual entity, plain text feedback can be cumbersome to deal with. 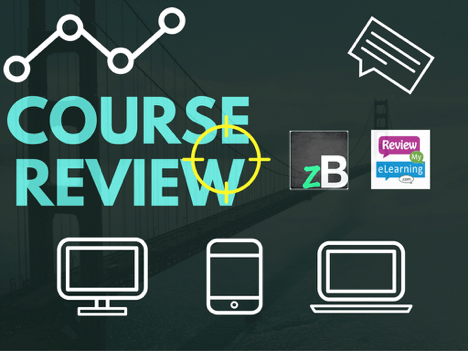 zipBoard is a must-have eLearning course reviewer tool for eLearning professionals who are more visual.  Key features: Upload SCORM files or add URL for hosted course. Capture and pinpoint the issue with images, task tracking and management, real time collaboration, JIRA and Slack integration, responsive test, unlimited collaborators and review cycles. Review My eLearning is another course reviewer tool to organize and track all of your comments. Key features: Comment management, unlimited collaborators and review cycles, discuss comments. Whatever tool you might end up using or already be using, it is important to ensure that everybody in the team is comfortable using it. 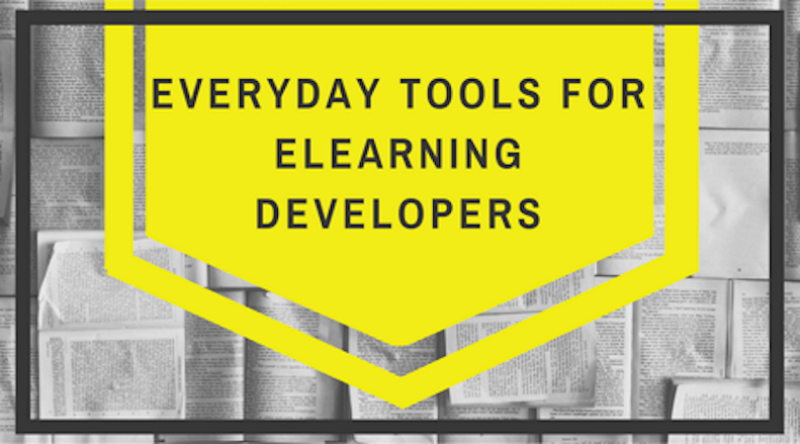 These are just some of the popular tools that we have shared for your project management during eLearning development. Tracy Parish has a comprehensive list of different tools that can be used for eLearning in different phases. Do check it out, and share which ones are your favorites.